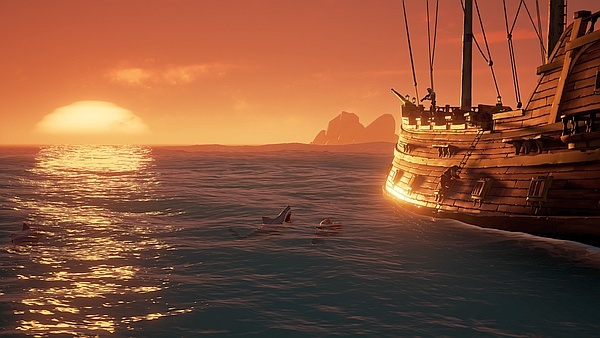 More than a year since the first Technical Alpha test that involved 1,000 players, Sea of Thieves is finally available for everyone to play. This game is available globally for Windows 10 PCs and Xbox One consoles for a price tag of US$59.99, but it can also be acquired as a part of various bundles. Earlier this week, Sea of Thieves was released globally for both Xbox One consoles and Windows 10 PCs. This launch comes after more than a year since the debut of the Insider Programme for the game, which took place in December 2016. Back then, the first 1,000 players were able to join the first Technical Alpha, followed by a few more Alpha sessions, which were succeeded by Closed Beta and Scale Tests, and then everyone was given the opportunity to take the game for a spin during the Final Beta stage. In addition to the special launch events that took place at the Microsoft Store in New York and Sydney, the official blog post about the game's launch also mentioned The Quest for the Golden Bananas and The Voyage live stream. Sea of Thieves is an Xbox Play Anywhere title, so those who purchase it digitally on Xbox One or Windows 10 PC (or acquire via Xbox Game Pass) can play it on either platform. The Xbox One and Windows 10 versions of the game allow everyone to seamlessly play together regardless of their platform. The Xbox One S bundle features a digital copy of Sea of Thieves and 1 month of both Xbox Live Gold and Xbox Game Pass, but those who buy a new Xbox One X until March 24 will also get a digital copy of the game. Other Sea of Thieves-related products include the Seagate Special Edition 2TB Game Drive, the Xbox Wireless Controller – Sea of Thieves Limited Edition (more details about them can be found on this page), the "Tales from the Sea of Thieves" lore book, and more. The price of the game alone is US$59.99, as previously announced.